The most absolute gorgeous, one of a kind, artistic lamps. Always get compliments on it! Highly recommend to everyone. Wish It came in assorted colors; for instance, baby blue or red. Light up a corner with this Vergato table lamp. 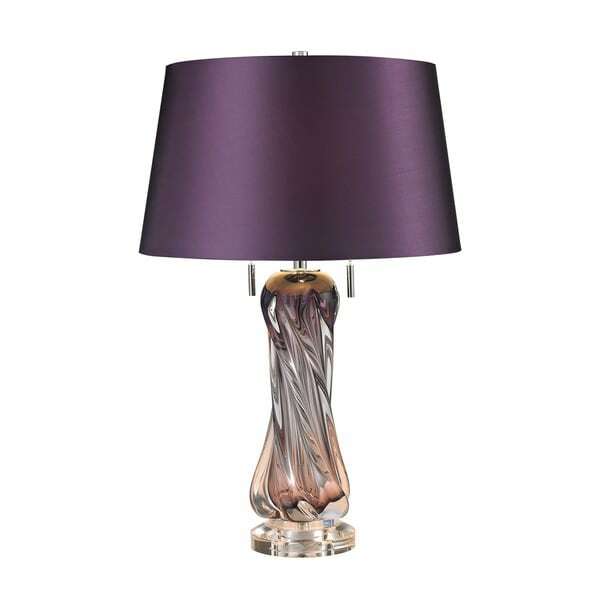 Finely crafted with a free-blown glass body and base, this dual-fixture lamp features a purple faux-linen shade to crown the upscale design. Safavieh Lighting 24-inch Eva Double Gourd Glass Dark Purple Table Lamp (Set of 2) - 14" x 14" x 24"